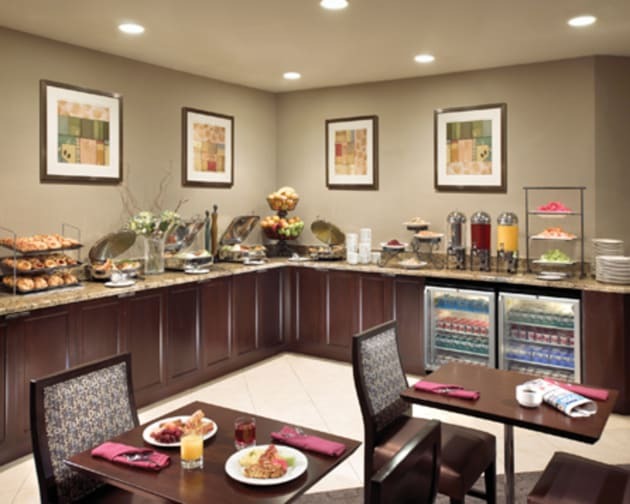 DoubleTree by Hilton Hotel San Diego – Hotel Circle features all the hallmarks of a truly great hotel experience. Our hotel’s San Diego stylish and comfortable rooms, central location and unparalleled personal attention all result in an unforgettable stay. From the moment you receive your warm chocolate chip cookie upon check-in to the time you leave our hotel’s San Diego location, our staff is dedicated to ensuring you have a memorable and worry-free stay.Enjoy the convenience of this comfortable, centrally located San Diego, CA hotel. 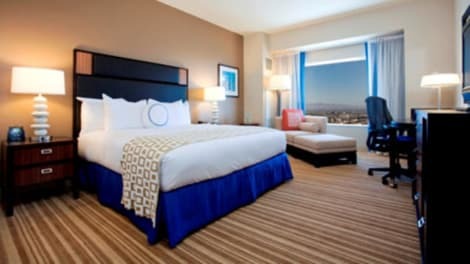 Complete with complimentary wireless high-speed Internet access in all guestrooms, DoubleTree by Hilton Hotel San Diego – Hotel Circle is only 10 minutes from San Diego International Airport (SAN) and near many of San Diego’s famed attractions, beaches, and business and entertainment centers. 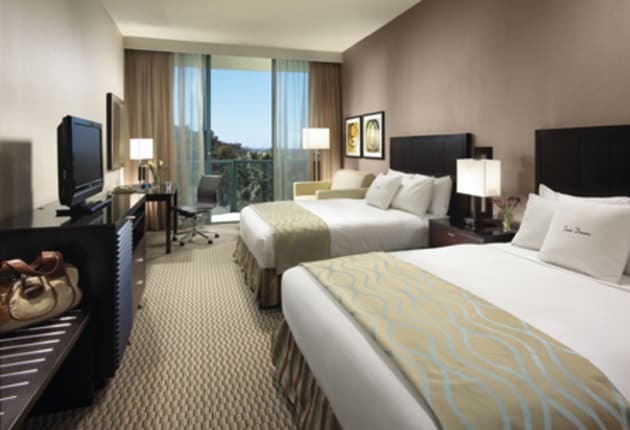 DoubleTree by Hilton Hotel San Diego – Hotel Circle is ideally situated for access to many San Diego and Mission Valley attractions like the San Diego Convention Center, business parks, USD, UCSD, SDSU, Fashion Valley Mall and the downtown area.DoubleTree by Hilton Hotel San Diego – Hotel Circle makes event planning easy. With more than 10,000 sq. 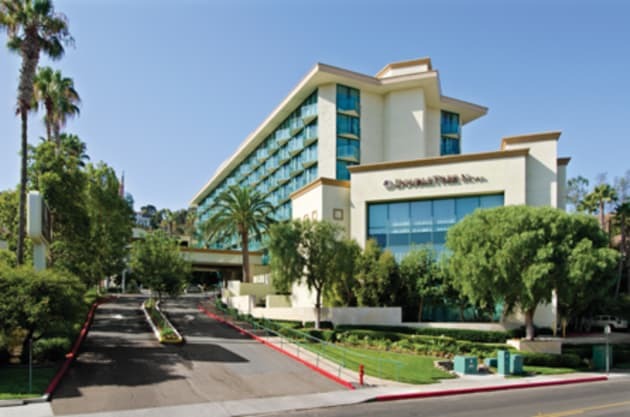 ft. of flexible meeting, our hotel’s San Diego event facilities, including a ballroom with panoramic views of Mission Valley and a large outdoor pavilion overlooking a tropical courtyard, allow us to handle any kind of event. Whether you’re hosting a party or meeting for 10 or 250, our talented team is sure to deliver an event to remember. Featured amenities include a business center, express check-in, and express check-out. This hotel has 5 meeting rooms available for events. With a stunning, downtown waterfront location, the 30-story Hilton San Diego Bayfront hotel captures the essence of the city’s distinctive coastal culture and lifestyle. Admire the sun and sea-inspired design and casually sophisticated ambiance. This San Diego hotel is adjacent to the San Diego Convention Center, across the street from the San Diego Padres' Petco Park, and minutes from San Diego International Airport (SAN). Walk to the Gaslamp Quarter and East Village for dining, world-class shopping, entertainment and recreational venues.Keep in touch with home or the office from your guest room thanks to high-speed internet access. Unwind with a movie on the plasma HDTV or admire views over the Bay and city skyline from the expansive windows. Choose suites for separate bedrooms.Hold business conventions or weddings in 165, 000 sq. 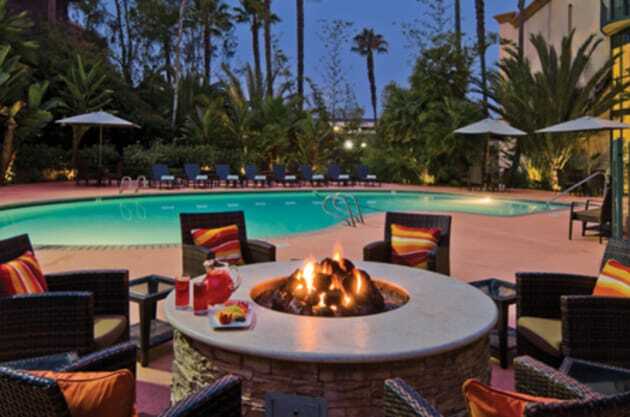 ft. of flexible meeting and event space at this San Diego hotel. Thirty-five breakout rooms with ocean views serve the Indigo Ballroom and Sapphire Ballroom, the largest pillar-free ballroom in the city. Use the 4.3-acre Bayfront Park for an unforgettable outdoor event. Hold smaller events on the starlit terrace or poolside. Do business in the business center or UPS Store.Savor global coastal cuisine in the Vela Restaurant, one of the hotel’s four restaurants and bars. Watch sports in the Fox Sports Grill or sip coffee onsite at Starbucks®. Relax in the hotel’s Spa Aquazul, unwind in the heated saltwater pool and whirlpool or exercise in the fitness center.